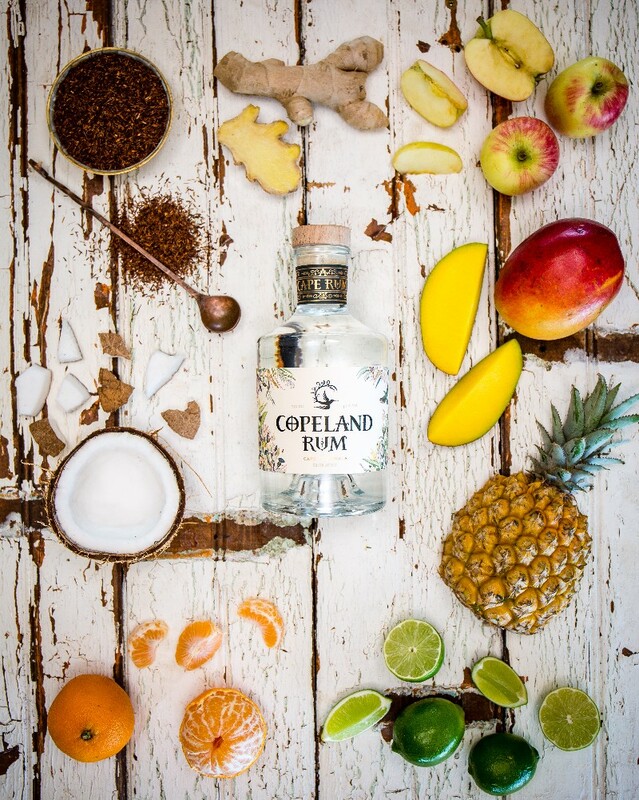 Its not rocket surgery – getting started with Copeland Rum cocktails is as easy as sourcing top quality ingredients and adding them together. This rum loves freshness , so get some real freshly squeezed juice and get mixing to your taste. Its tried and tested with most , but some stand outs are naartjie (South African Clementine) pineapple , mango and a proper coconut water ( like Vita-Coco – no suntan lotion please!) . To connect the rum to its fynbos roots try it with a rooibos ice tea. Sweetness should always be balanced with acidity and there’s no better way to do that than with a lime and a press – either a half or a full lime dependant on what you`re using should do the trick. It’s also not a sin to mix Copeland Rum with Cola , but keep it classy – use a full glass of ice, at least half a lime and call it a Cuba Libre .